I am back in the land of blog! I have been doing a MAJOR clean-up in my studio. You have no idea what a sorry state it was in. It is now much tidier, thank goodness. That interspersed with figuring out what to do about a website and sales kept me busy. Last year my website crashed at my host including all of their backup files so I haven't had a website for quite a while now. I decided to consolidate various blogs and the website and anything else that seemed to be floating around into one area. My blog is now the home base for Happy Holidays; Etsy is my sales area. I have been adding work to my Etsy shop and will continue to do so over the next month or so. Click this link or click the link underneath the blog header to visit my shop. giant portrait rattle - "Lovey of Lovey's Tearoom"
This is a close-up a giant portrait rattle - "Lovey of Lovey's Tearoom". 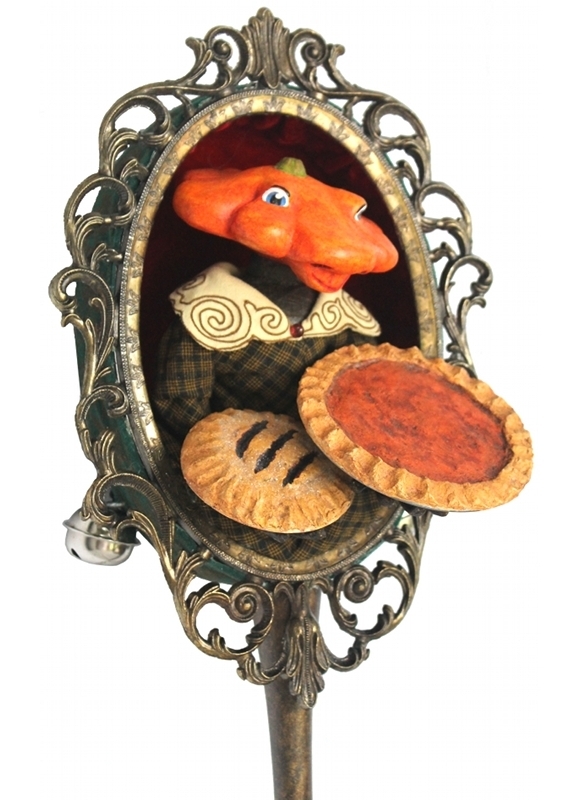 She is waiting to take her famous sweet potato pumpkin pie and hedgerow berry pie to a very discerning home! "Edna came as a Paris runway model"
Edna loves Haute Couture and decided to go trick or treating as a Paris runway model. 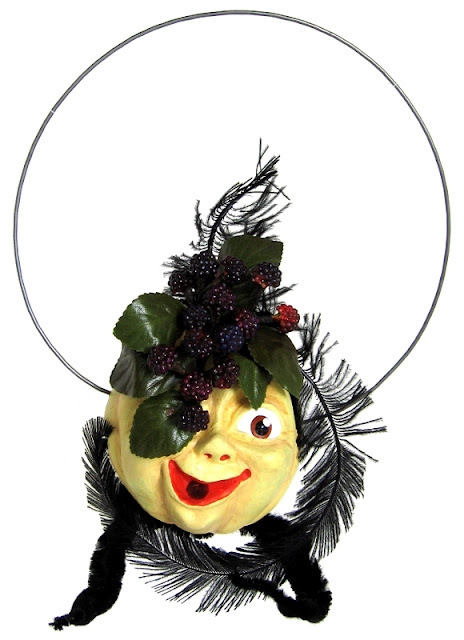 She created the hat herself; she is delightfully eccentric as well as a lot of fun. 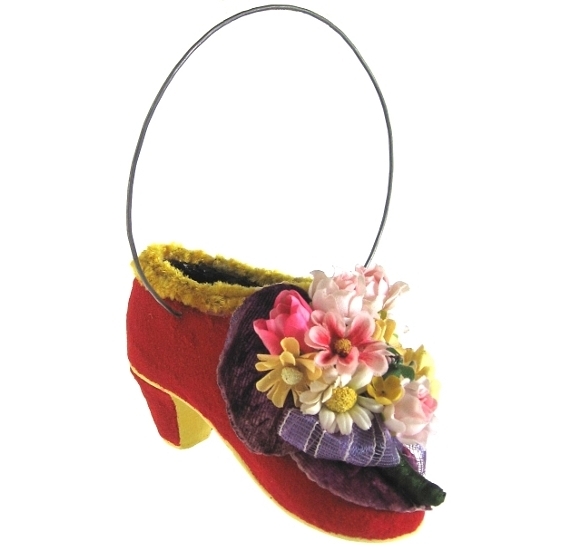 If you love shoes there are several shoe candy containers to select from. There are more that I will be posting in the near future. I have been frequenting Salvation Army quite regularly so I will show you a few of my treasures in a few days, in the mean time enjoy looking around the shop.